Why did PML-N lose or the PTI win in Pakistan? Home /Elections, Pakistan, South Asia/Why did PML-N lose or the PTI win in Pakistan? Written by Mariam Mufti and Hasan Javid. 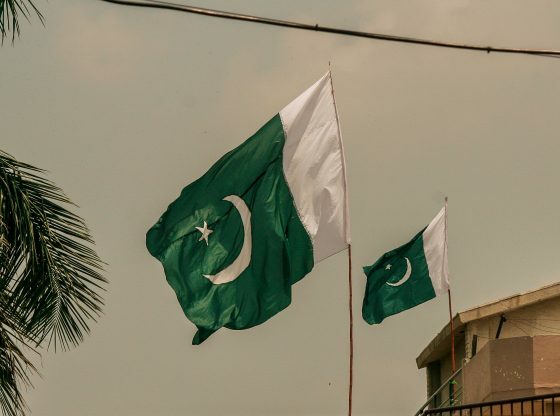 On July 25, 2018 Pakistan held its third consecutive general election since the end of General Pervez Musharraf’s military regime in 2008. While 2008, was important as a founding election that marked the transition to democracy, and the 2013 election was historic for being the first time in Pakistan’s history that a democratically elected government transferred power to another democratically elected government after completing a full five-year term in office, the 2018 election is special because it represents the uninterrupted continuation of the democratic process. Voters have noted that PTI … was more successful in fiscally empowering the local governments to improve service-delivery … In KP, 40 percent of the candidates who won seats were incumbents, another indicator that voters took the PTI’s governance record into account. The 2018 election is also the first time neither the Pakistan Muslim League (PML) nor the Pakistan People’s Party (PPP) have the won the mandate from the people since 1970 (the first general election held in Pakistan). Instead the Pakistan Tehreek-e-Insaaf (PTI), a party that had won only 17 percent of the vote and 28 general seats in 2013, has emerged as a clear victor with 115 general seats. PTI was clearly ahead by a few points of the PML-N in almost all pre-election polls, but the outcome that the PTI would be in a position to form the government without either PPP or PML-N as a coalition partner was not predicted. The general sense was that the ‘establishment’—shorthand for Pakistan’s Army and intelligence services—was manipulating the electoral process to insure a ‘hung’ parliament, which it could control by pulling strings from behind the scenes. First, the ‘election was rigged’. This explanation has been given most frequently by the losing political parties, including the incumbent PML-N, PPP and religious political parties. On the day of the election itself, for example, delays in the announcement of election results coupled with reports of political agents being expelled from polling stations and presiding officers refusing to provide final vote counts, were all taken as evidence of electoral fraud. However, the absence of information regarding the scale of these issues, and with reports from international observers and neutral bodies like the Free and Fair Election Network (FAFEN) claiming that election-day rigging was minimal, it is difficult to substantiate these claims. On the other hand, there is more credible evidence to support the view that there was pre-poll rigging aimed at providing the PTI with an electoral advantage. For example, opposition parties allege that efforts to disqualify and convict PML politicians, most notably Nawaz Sharif himself, were art of a process of ‘selective’ accountability aimed at clearing the playing field for the PTI by eliminating political rivals. Questions have also been raised about how a census whose results have still not been made public may have been used to gerrymander constituencies around the country to weaken incumbents and provide an advantage to the PTI. Similarly, there were reports of opposition politicians being coerced into defecting to the PTI or contesting the elections as independents, and of the press being encouraged to paint a negative picture of the PTI’s rivals, with both measures being attributed to the machinations of the military establishment. These claims have been supported by international election monitors and the HRCP, although interesting questions are raised here about what exactly constitutes ‘rigging’. After all, while the process of accountability that disqualifies Nawaz Sharif may have been selective, it ultimately provided voters with information regarding his alleged corruption that was not necessarily incorrect and, therefore, relevant to the election, just as the process of gerrymandering, while potentially unfair to some parties, is not necessarily illegal. Second, ‘PTI ran an effective electoral campaign’ and therefore, rightfully emerged as the victorious party. PTI began its bid for power in 2018 convinced that the party had never fared well in previous elections because it did not have enough ‘electables.’ These are politicians whose independent support bases make them well-placed to win elections and are, therefore, desirable candidates for recruitment and retention by different political parties. PTI chief Imran Khan has been known to say that “one man alone without an electable team can only do so much.” Yet, the challenge for PTI has been to recruit politicians who care for the party’s agenda for change, which amounts to having reputations untainted by corruption, but also a track record for winning an election. In 2018, PTI was not half-hearted in selecting candidates who were electables, accepting opportunistic politicians who defected from other political parties, in search of a party ticket that would lead them to electoral victory. And this strategy paid off. For example, in the province of Punjab, where PTI had not performed as well as had been in anticipated in 2013, it has won 123 out of 295 provincial assembly seats, just 6 seats short of PML-N’s total. At the national level, PTI has won 43 percent of the seats in Punjab. Of these seats, nearly 70 percent were won by so-called electables who defected from other political parties. Two other aspects of PTI’s election campaign must also be mentioned. PTI’s message of a “Naya Pakistan” (a new Pakistan), which is corruption-free and provides effective social safety nets, in the wake of PML-N leader Nawaz Sharif and his family’s implication in the Panama papers clearly resonated with voters. Moreover, PTI’s social media campaign has run parallel to traditional campaign activities such as canvassing, rallies and corner meetings and has attracted the educated, young (18-30 years), middle-class voter and allowed for the socialisation of like-minded individuals. This is evident from the party’s performance in Karachi, where it has won 13 out of 21 seats. The third narrative is that the ‘electorate in Pakistan is maturing’ and responding to a political party’s record in government and its election promises when deciding who to vote for. For the first time, voters in Khyber Pukhtunkhwa (KP) have elected an incumbent party by unanimously voting for the PTI. Now, this could very well be because the alternative of a beleaguered Awami National Party (ANP) or other religious political parties in place of the PTI was not palatable. But it could also be because voters in KP assessed PTI’s record of governance in KP and chose to give it another five years to fulfil its mandate. The PTI had a relatively scandal-free term in office, during which time it benefited from the stability that ensued from the army’s anti-Taliban campaign. Voters have noted that PTI, relative to the other provincial governments was more successful in fiscally empowering the local governments to improve service-delivery in both education and health. In KP, 40 percent of the candidates who have won seats were incumbents, another indicator that voters have taken PTI’s governance record into account. The same argument should apply to PML-N in Punjab but its record is a bit mixed. Although Punjab has been in control of the PML-N since 2008 and Chief Minister Shahbaz Sharif has worked tirelessly to develop and deliver services across the province, voters have held the party accountable for the allegations of corruption that have surfaced against the party leaders. PML-N won the most number of seats in the Punjab Assembly, but it has been unable to consolidate its lead and forming the government. The most recent reporting indicates that PTI will be successful in wooing over independent candidates to form the government in Punjab. Mariam Mufti is an assistant professor of comparative politics at the University of Waterloo. Her research focuses on regime change and political participation in hybrid regimes, with a special focus on South Asia and in particular, Pakistan. Hasan Javid is an Assistant Professor of Sociology at the Lahore University of Management Sciences. His research focuses on the legacies of colonialism in South Asia, and on democratisation, class, and state in Pakistan. Image credit: Wikimedia Commons.